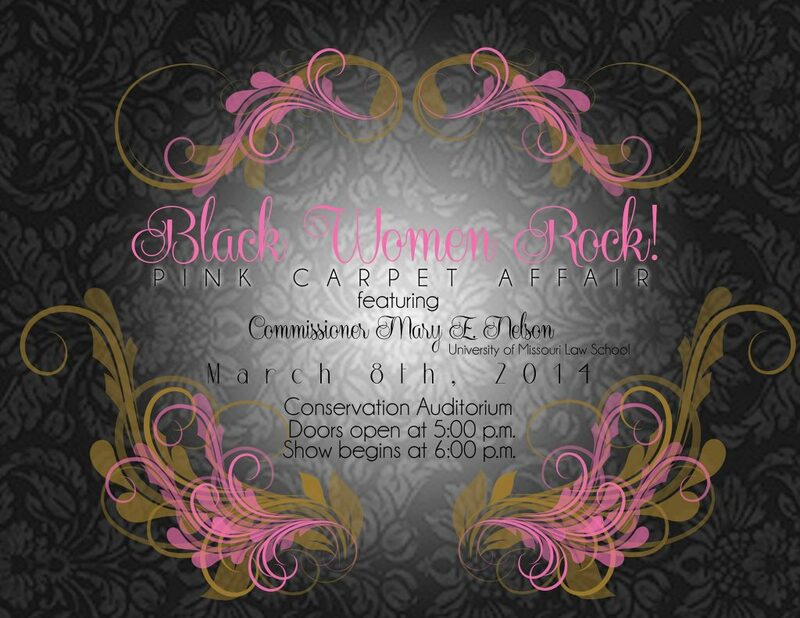 Join us for Black Women Rock! 2014: Pink Carpet Affair. Black Women Rock! models after “Black Girls Rock!” which originally aired on BET. The goal of this event is to recognize the outstanding efforts and accomplishments of Black women at the University of Missouri and the Columbia area. This year the event will feature a special recognition of Commissioner Mary E. Nelson. BWR! 2014 will be held March 8, 2014 at Conservation Auditorium located on the University Campus. Doors will open at 5:00 p.m. The ceremony will begin at 6:00 p.m. This event is free and open to the public.